I love reading reviews about products before I buy them. In fact, most of the time I don’t buy a product unless I’ve read a review. This doesn’t just apply to my purchases for my studio but also to other purchases like Kindle books. So, let’s just say that reviewing products by looking over the customer reviews is a necessary evil (for me) before I purchase something. 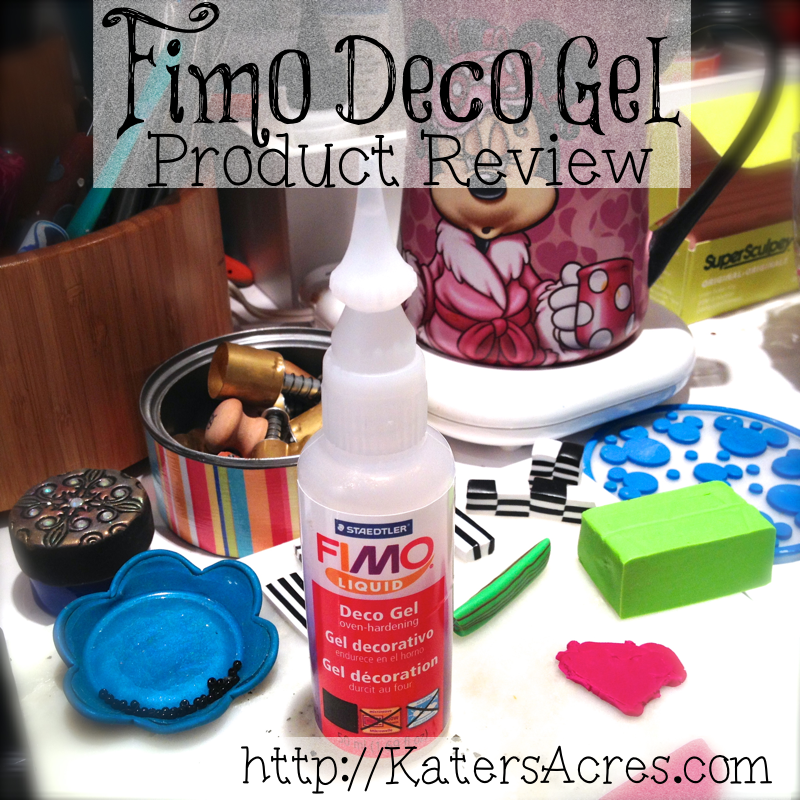 So, this being said, I have been asked by several of you my opinions as well as to do a Fimo Deco Gel review. So today, that’s exactly what we’re going to do! I bought this item for one purpose only (I know that sounds bad, but it’s true) … I bought this Fimo Deco Gel to make wings for several of my fairies that I was going to be releasing. You can see at the right how the wings turned out perfectly clear and see through. Now that is awesome. Compare those wings with the wings at the right that were made with liquid polymer clay and are extremely dense, thick, and not near as pretty! Some of the things that I have done with this product are things you could normally do with a sealer or varnish top coat. On many of my pieces that I need to “seal” (such as those with mica powders) I have begun to use this as a varnish prior to baking. Using a very soft bristled paint brush, I apply the Fimo Deco Gel all over my piece. Then I bake it the recommended time & temperature for the brand of clay I have used. This is awesome for this use as not only is it perfectly clear when it comes out of the oven, but there is no “fog” that appears over the clay either. I love it! This stuff is über expensive (compared to TLS)- so I use it very sparingly. That being said, I’ve only had the bottle 3 months and it’s already half gone (insert sobs here) … but I use Translucent Liquid Sculpey a lot to attach parts & pieces of my figurines together. Well here’s the only two “cons” that I have for Fimo Deco Gel. First, it is extremely expensive for the small amount that you get. For someone like me who clays an average of 15-20 hours a week, this stuff is costly. The second is that it is not available anywhere around me, so I have to order it online in order to get. So, I use my website of choice, Amazon.com. All links provide above link directly to Amazon.com where I am an affiliate.